Tillett style nylon chain guard for TAG, KF, Rotax, etc. Includes the mounting bracket kit. 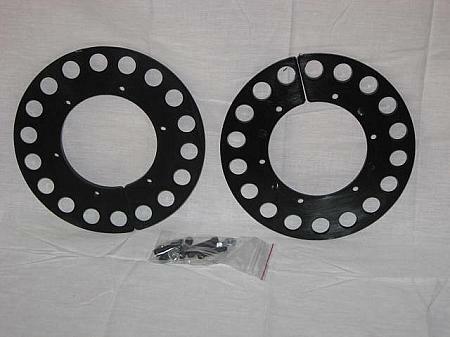 Tillett Nylon Chain Guard for engines that don't have an OEM clutch guard like Rotax Max, Vortex Rok TT, Mini Rok, etc. Made of black nylon and includes the mounting bracket kit. CIK Approved. 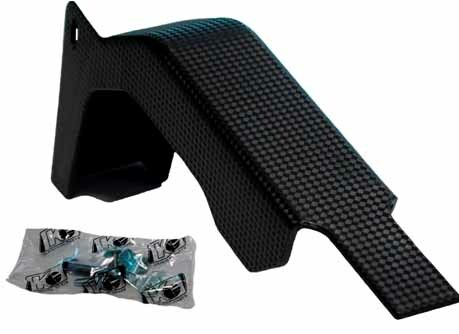 Tillett Nylon Chain Guard for engines that have an OEM clutch guard like Parilla Leopards, PRD Fireballs, etc. Made of black nylon and includes the mounting bracket kit. CIK Approved. Original mounting hardware for Tillett chain guards. Rigid chain guard for shifters or 4-stroke karts. Mounting hardware included. OEM Rotax clutch and chain guard. 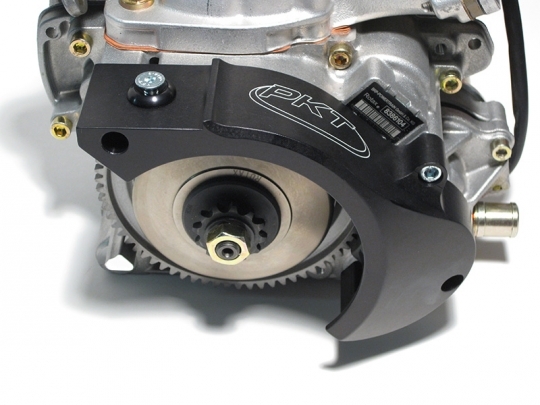 PKT's Billet Rotax Chain Guard. Protects the driver and radiator. The guard has a mounting shelf with hardware for your plastic chain guard. Black anodized and laser engraved. All mounting hardware included. 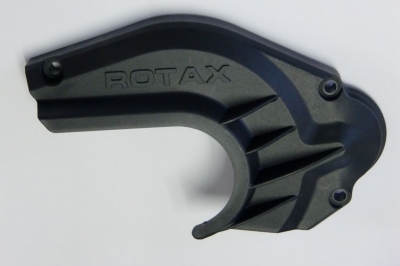 Fits both old and new Rotax engines. The guard must be used with Reduction Gear Cover p/n ROT210345. Sold individually. For Animal, LO206, World Formulas. Mounting hardware not included. Includes mounting hardware. 9" overall diameter. 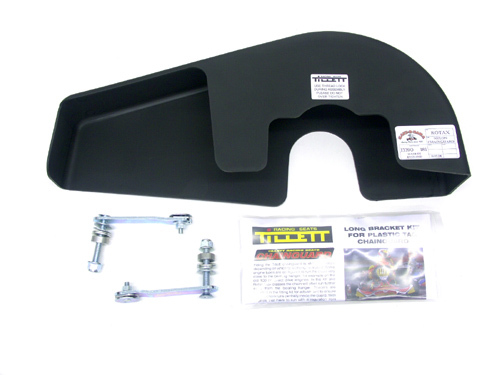 Tillett Fiberglass Chain Guard for engines that don't have an OEM clutch guard like Rotax Max, Vortex Rok TT, Mini Rok, etc. Made of lightweight fiberglass and includes the mounting bracket kit. CIK Approved. Standard nylon chain guard. Red or Black. Chain Guard Bracket. Mounts to bearing cassette.